This week, the #SundaySupper team is celebrating spices and/or spicy food. I am a big fan of spices in general, so I just had to contribute! I think I have a rather interesting Mojito collection on the site already and this Cilantro Jalapeño Mojito is yet another fun addition to it! I think Mojito is easily my favourit cocktail, so I am always game for trying new flavour combinations. 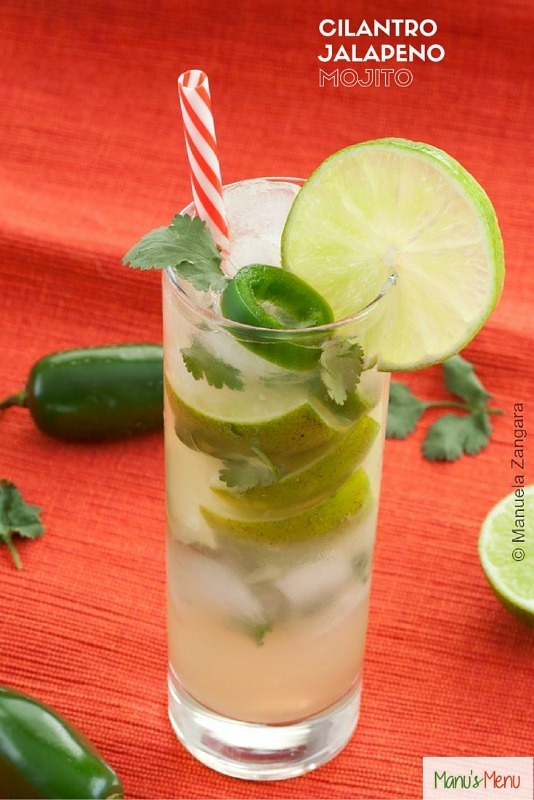 When I made this Cilantro Jalapeño Limeade a while ago, I kept on thinking that the cilantro (that I usually call coriander) and jalapeño syrup would work great for any drink… and it did! It is sweet, fruity and earthy, with just a hint of delicious spiciness. This is an amazing mojito, trust me! Try it and let me know what you think! Cheers! 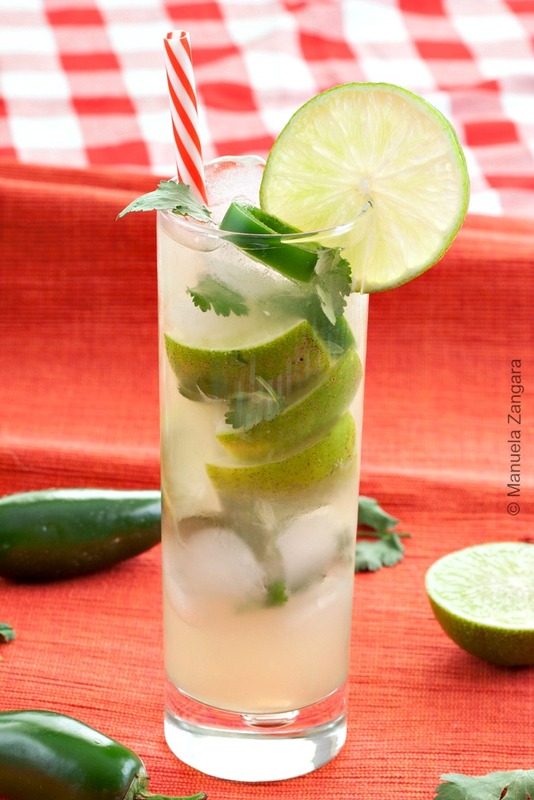 Cilantro Jalapeno Mojito - a refreshing mojito that is sweet, fruity and earthy, with just a hint of spiciness. 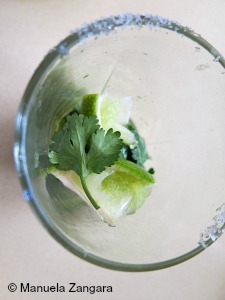 Put the coriander/cilantro leaves and the lime wedges in a Mojito glass (or if your muddler does not fit the Mojito glass like mine, do this in a separate bowl). Crush the coriander/cilantro and lime together to release their juices. Fill the glass (or transfer to a Mojito glass and then fill it) with the ice cubes. Add the rum and fill the glass with the cold coriander and jalapeño syrup. Mix well. Decorate with a lime slice. Serve immediately and enjoy! Oh, I am definitely making this and I trust you that it’s amazing! I love drinks with the sweet heat combo! Hhmm. 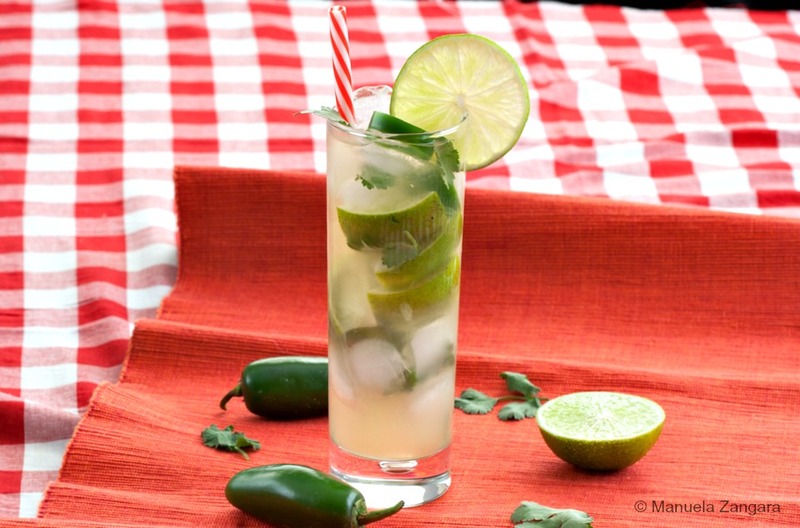 Jalapeno syrup! That would be terrific in Margherita. This Mojito looks super delicious. You’re a very talented photographer. The photos are beautiful. 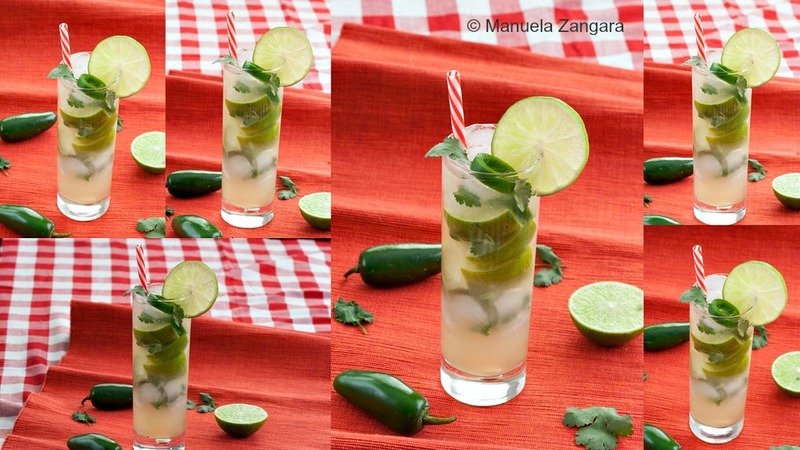 Now this would be fabulous on Cinco de Mayo, but I’d be happy to sip on it all summer long! I love mojitos and I’m always looking for new varieties! Thanks for this awesome recipe. It would be great for margaritas too, I bet. I LOVE Mojitos! What a fun way to add some spice to them!